Home / News / Welcome to the Ray Gun Division webpage! Welcome to the Ray Gun Division webpage! 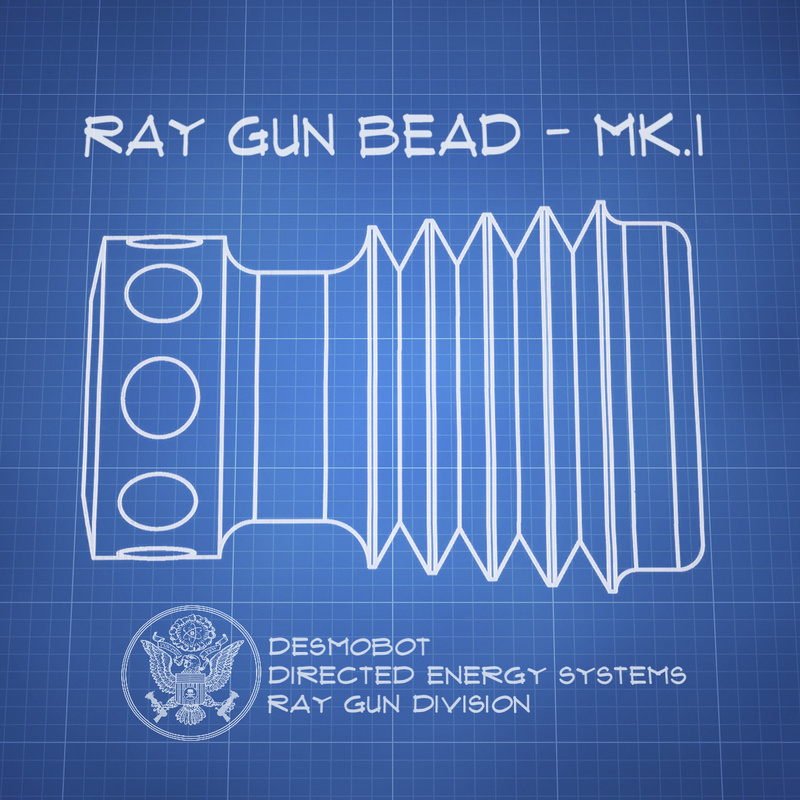 I’ve had lots of folks ask me “what’s your website?” regarding the Ray Gun Bead project. I’ve been kicking around the idea of setting up a more permanent site but I think a simple blog page like this one will probably suffice. Future Ray Gun bead sales will be announced here, as well as some insights on where this whole project may head over time. Lots of ideas, concept sketches, variations on the design, new materials and several more collaboration projects are all in the hopper. The first several posts will probably be photos documenting the history and some of the different variations of the Ray Gun bead floating around out in the wild. I’d like to offer a sincere “thank you” to all who’ve latched on to these beads with great enthusiasm and I look forward to sharing with you some of the fun ideas that are developing as we speak.